Rash is one of the three Battletoads that fight the evil Dark Queen and her Space Mutants in the series by the same name that started in 1991 on the NES and ended more or less with Battletoads the Arcade game in 1994. 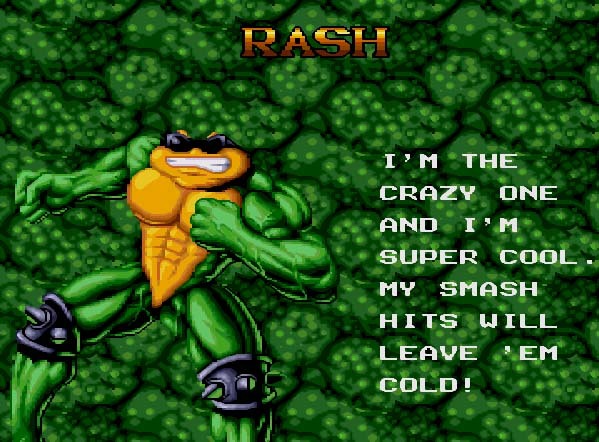 Rash is the mascot of the three Battletoads and kinda the coolest of them. 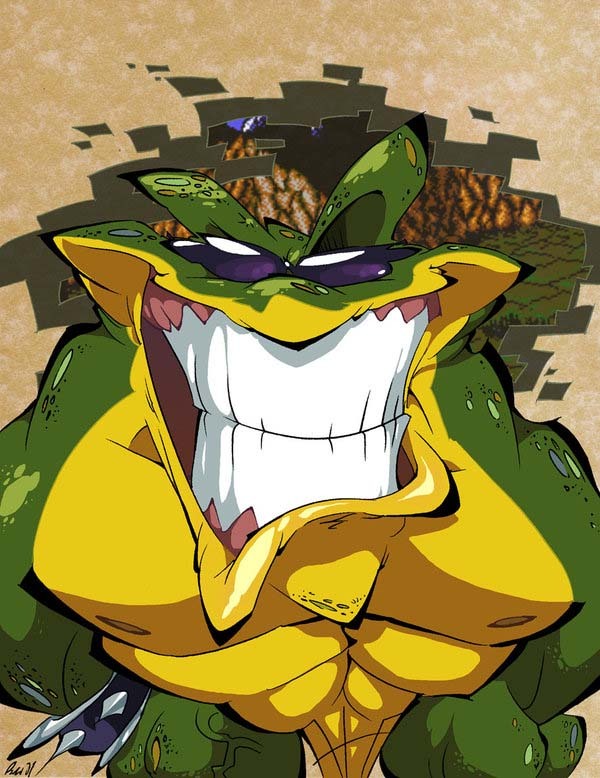 He loves to crack jokes and is returning in playable form as the only of the three so far in Season III of the Killer Instinct Remake. 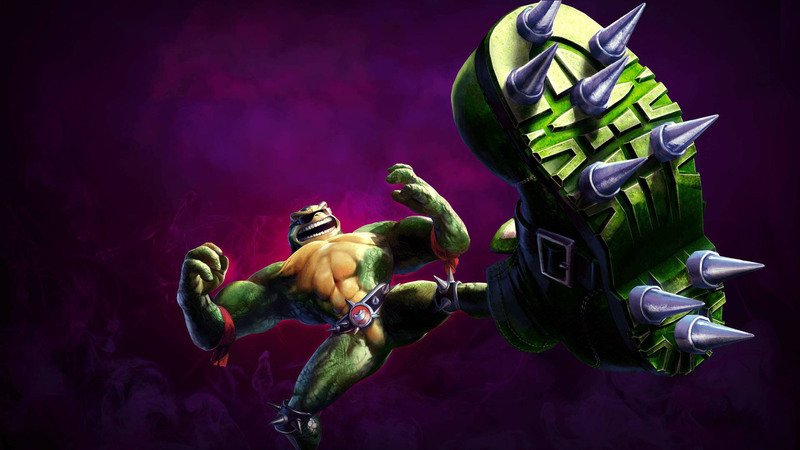 He is playable already in beta form and will be complete in 2016. 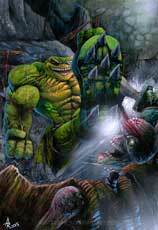 Oh, his real name is Dave Shar.